Established 1983. All genres of used books. 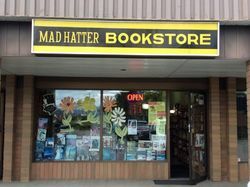 Terms of sale for MAD HATTER BOOKSTORE 30 day return guarantee, with full refund including original shipping costs for up to 30 days after delivery if an item arrives misdescribed or damaged.